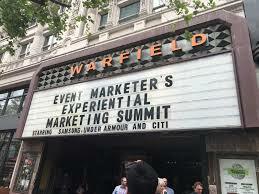 Monday: I traveled to the San Francisco Marriott Marquis and started to get ready for the 2018 EX Awards Gala and After Party at the Warfield Theater. At the gala one of our clients, The Marketing Arm, racked up awards on programs that we helped support! Tuesday: There were a lot of breakout sessions that discussed what major corporations are doing in the experiential marketplace. I attended key notes from staff at Under Armor and Samsung, learning about what these major corporate players do to create an organic impression for consumers. Each day there was a networking lunch that gave me time to meet other experiential professionals and learn about how A+ Staffing could partner with them to provide staffing solutions. The Women in Events program was hosted by Wendy Sachs – an Author and Entrepreneur that gave us her book and highlighted her views on empowering women in the workplace. Wednesday: I visited the trade show floor to learn about what’s going new in our industry. 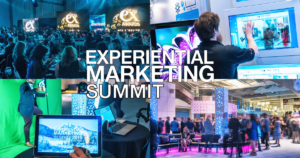 From VR vendors to experiential software outfitters – the trade show floor was double the size of Chicago Experiential Marketing Summit 2017. There were a lot of opportunities to network and of course, tons of free giveaways! 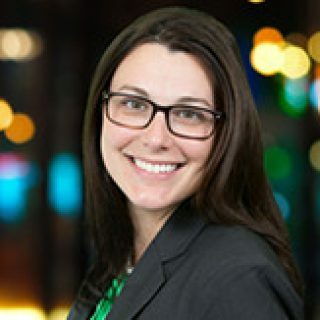 After having to visit my hotel room to drop the bags of swag I received, I headed to see the US Air Force speak about personalization and data collection strategies that make an impact and saw Kashi present ‘how to stand out at trade shows’. The show closed for 2018 and I learned we will be off to Las Vegas for the Experiential Marketing Summit 2019!